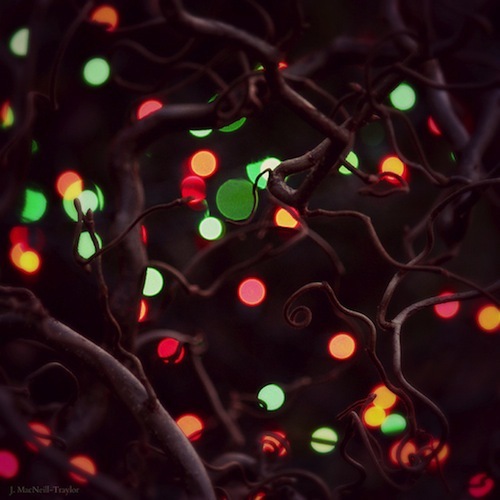 Jennifer MacNiell-Traylor's photo of twisted branches strung with holiday lights evokes Dr. Chris Pollitt's famous images of capillaries in the horse's foot's laminar region. The Animal Health Foundation has helped Dr. Pollitt and countless other laminitis researchers illuminate the inside of the hoof so we can better understand how both the normal foot and the laminitic foot are constructed and function. Are you a horse owner? Here is a special way to thank a groom, a farrier, a veterinarian or a fellow horse lover. Are you a horse professional? Let your clients know that your donation to laminitis research in their name will help prevent, treat, and understand laminitis all over the world. 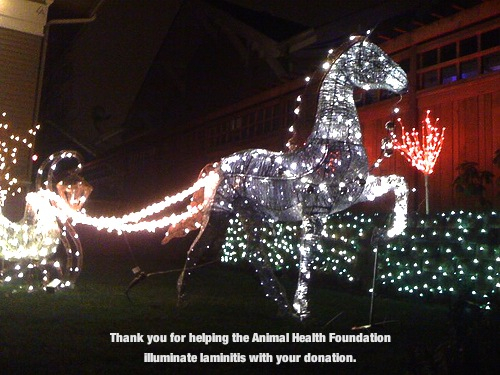 Won't you help us illuminate laminitis, and conquer it, in 2013? Scroll to the end of this post for an easy-to-use donation form. The Animal Health Foundation, the world's premier grassroots charity dedicated exclusively to the funding of critical equine laminitis research, appreciates your last-minute holiday donations. And we've made it easy for you: The Animal Health Foundation's PayPal button allows you to make a donation right through the holiday. You can use any major credit card or your PayPal account. Donate any hour of the day, any day of the week! Dr. Chris Pollitt's world-famous Australian Equine Laminitis Research Unit's studies of the mechanism of laminitis. Dr. Melody De Laat's work on insulin-like receptors in the horse's foot and how they may function (or malfunction) in a laminitis episode. Those are just a few of our recent projects. In 2012, AHF also produced and published a five-video series for horse owners on the use of current research in preventing, treating and understanding laminitis and conducted an educational webinar attended by thousands of horseowners via Equus Magazine and Equisearch.com. In addition, Dr. Walsh attended the Equine Endocrinology Summit and discussed current and future research on Equine Cushing's Disease. We are sure that, with your help, 2013 will be a watershed year in the study of laminitis. Please add your large or small donation to the funds that have been raised to date by horse owners and horse professionals all over the world. Your gift to the Animal Health Foundation goes straight to research, and we always share the findings of our projects through lectures, articles, this blog, and our educational YouTube channel. We all know that horses can't beat laminitis without our help, and researchers can't unravel the disease without our funding. We have more work to do to free the horse of this disease. Thank you, from horses everywhere.